Here at Lake Ridge Chapel and Memorial Designers, we celebrate our Veterans for their service and sacrifice to this great nation. From ensuring proper military honors are received at the time of death, to countless hours of volunteer work offered to the Veterans Administration by our Lake Ridge Ladies, we express our gratitude and support in many ways. 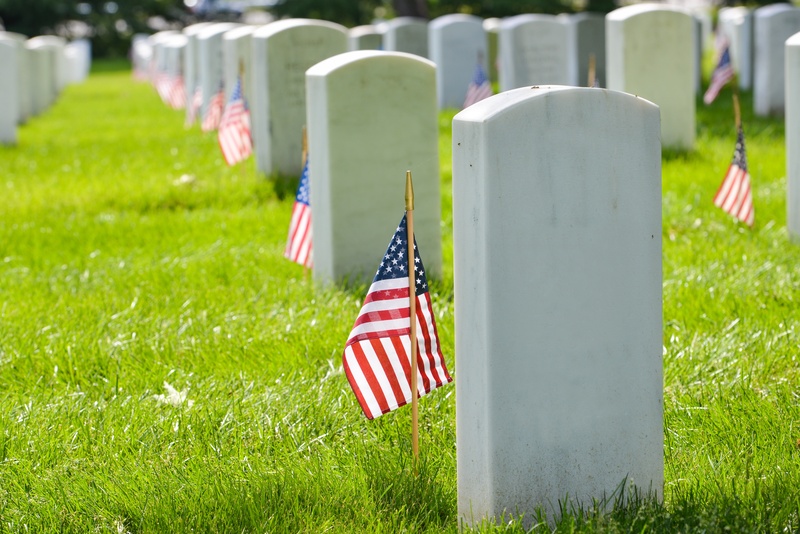 Because we understand that Veteran’s Death Benefits typically consist of merely a flag and a grave marker, leaving the bulk of the expenses to fall on the family, we protect our military families by offering discounted pricing and payment plans on “Pre-planned Funeral Services” for those who have served in any branch of our armed forces. Even though payment plans are available to the general public as well, the discounted packages are exclusive to our veterans. Every day, we are deeply invested in the lives of families who have lost their loved ones, either due to an unexpected event or after a lengthy journey of illness and despair. No matter the circumstances that led to this loss, the result is always the same…shock and uncertainty. Knowing there are a multitude of decisions that must be made in a very small window of time, sparks an avalanche of costly, emotional decisions for the surviving family members due to the depths of their own pain and sadness and the longing to show how much they care. Time and time again, we have witnessed the devastating impact, both emotionally and financially, the arrangement process has on the family after a death has occurred. Sadly, this hardship can be alleviated with a minimal amount of time and effort. On the contrary, we have been blessed to work with families, whose loved one took the time to preplan for the ones they love. As a result of our experiences, we have come to realize what a beautiful gift “planning ahead” truly is. Preplanning is designed to protect your family emotionally. Prefunding will protect them financially. While many people choose to purchase life insurance to cover the cost of funeral services, the price of goods and services continue to rise. “Preneed Agreements” are the only way to “LOCK” in today’s prices so your family will never pay a penny more. If you think you cannot afford it today, how will your family afford it later? And what will be left for your survivors? Life Insurance is for the “living”. We spend our entire lives protecting those we love. So why is it through the most difficult days of their lives we somehow fail them? The answer is simple, we fail to realize the Power of Preplanning. Protect your family and start preplanning today!